Eventhough Tamil parties have not extended any support towards Sri Lanka’s constitutions, expressing their ideas regarding various proposals for the formulation of a new Constitution is a welcome democratic feature, State Enterprise, Kandyan Heritage and Kandyan Development Minister Lakshaman Kiriella said. An example for this is that Tamil parties never extended any support when constitutions were formulated by President J.R.Jayewardene and Prime Minister S.W.R.D.Bandaranaike then, he said. Kiriella said opponents alleged that the proposed new Constitution was aimed to promote a division of the country. But there had been no discussions whatsoever about a federal system or the amalgamation of the Northern and East Provinces.The only discussion had been on measures to strengthen Provincial Councils. Although sixty years have passed since Sri Lanka gained Independence, it was regrettable to see Sri Lanka which provided examples of development to counties like Singapore then, lagging behind them in development today due to disunity. Kiriella launched construction work on the Watapuluwa Green Park Multi Purpose building costing Rs.12 million yesterday. Kiriella said certain provincial council functions belonged to the Central Government and discussions were held to resolve this issue too. For the first time in the country’s history, the TNA had accepted the unitary state concept and Article 9 of the Constitution which offered a pre-eminent place for Buddhism. “What had been presented in Parliament was not a Constitution but constitutional proposals made by various parties and individuals and eminent persons for clause by clause discussion only. “It was after then that a draft constitution would be formulated. 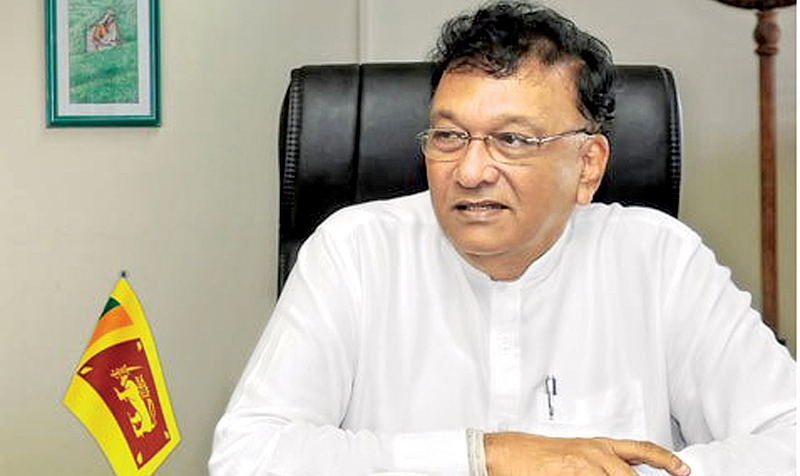 “Although some quarters alleged that there were attempts to divide the country, the UNP would never agree to any such underhand moves since they loved the country,” he said. “Had we implemented power devolution immediately after independence, the country would have never experienced a cruel 30 yeas war. In the 1950s the Tamils demanded only language rights rather than separation. At the time we gained Independence, we had an excess of foreign reserves and undertook giant irrigation schemes like the Gal-Oya, Ampara and Inginiyagala with local funds without any dependence on foreign financial institutions. Today, counties like Malaysia and Singapore which lagged for behind us in development and progress have been able to surpass because our development was retarded due to communal problems. Minister Kiriella also directed officials to ensure that the proposed new building is completed on schedule. Kandy Mayor Kesara Senanayake, Deputy Mayor Illahi Abdeen and Municipal Council opposition leader Sena Dissanayake also spoke.